As press release distribution has shifted from an offline to an online activity, a growing number of marketers are realizing the potential press releases have for increasing a company’s search engine presence. Simply put, SEO and press release writing go hand in hand these days. Unfortunately, many writers still don’t understand all the ins and outs of SEO, and as a result, they often end up with either a press release that isn’t optimized at all or one that’s over-optimized and difficult to read. Here are some simple guidelines you can use when optimizing your press releases for the search engines. Do keyword research before you start writing – When done properly, keyword research can help you figure out the exact terms your customers are using when searching for your products or services. Never just assume or guess what you think the best keywords are. Use a free keyword research tool to discover the terms you should be targeting. 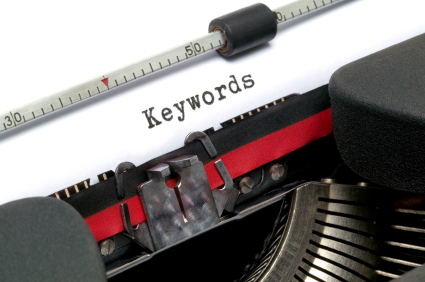 Make a list of some of the top keywords, and use these as a foundation for your press release. Don’t sacrifice readability for SEO – Why do SEO writers always seem to get carried away with stuffing keywords in every possible piece of their copy? Good press release optimization isn’t about seeing how many times you can get the keyword in your copy. It’s about creating an easy-to-read piece that just happens to also be optimized for the search engines. Do place keywords toward the top – Keyword placement is an important, yet often overlooked, aspect of optimizing a press release. To give yourself the best chance of having a well-ranked press release, you should try to include the targeted keyword in the headline, subhead, and first paragraph of the press release. You should also use the keyword throughout the rest of the press release when it makes sense to do so. Remember, the goal is to include the keyword naturally, so don’t force it if it doesn’t work. Don’t get caught up measuring keyword density – Keyword density is one of those old SEO myths that just won’t die. Some people still swear that by using a keyword a certain percentage of the time in your copy, you can rank better in the search engines. It’s total BS. Don’t waste your time measuring keyword density, because there is no magic number you need to hit. Instead, focus on creating a natural flow in your press release. Do use keyword-rich backlinks – Many times, you can include links back to your website within your press release. This lets readers get more information about your story, and it drives traffic to your website. But that’s not the only purpose of doing this. If you use keyword-rich anchor text in your backlinks, you can actually help improve the rankings of the pages being linked to. For example, if you’re linking to a page on your website about ABC widgets, your backlink should include the words “ABC widgets.” This lets the search engines know what the target page is about, helping to rank it accordingly. Don’t write press releases just for the sake of SEO – While press release marketing can be an effective SEO tactic, you shouldn’t do it solely for the sake of improving your search engine presence. That’s how you end up sending out high volumes of poorly-written, uninteresting press releases. Always focus on writing newsworthy, interesting press releases. If you follow these tips, you should be able to enjoy the best of both worlds: media coverage and high search engine placement. The key is to always write newsworthy press releases with a strong hook that draws readers in. Do you optimize your press releases for the search engines? A great post, and not just for press release writers!